The fuel system is among the most problematic for motorbikes that sit for extended periods of time. If you neglected to add fuel stabilizer, it is likely to have turned into a gooey mess. This can cause problems for your carburetor or even your fuel-injection system if your bike is equipped with one. To make sure your fuel system is good to go, you will need to drain the fuel from your tank and carburetor and replace it with fresh fuel. Draining the fuel should resolve most fuel system issues, but if not, be sure to bring it in to your service center. Before you begin the riding season, you will want to make sure no debris has built up in your air filter. Sometimes rodents even make nests in the air filters, so it is a good idea to make sure they are clear from anything before you fire up your bike for the first time after it has sat for months. If the filter is dirty, you will want to replace it before taking it out on the road. During the colder months of the year, tyre pressures can drop. Low tyre pressure impacts the safety and handling of your motorbike and can cause undue wear. Test the tyre pressure with a gauge and add air to the recommended tyre pressure. As you are checking the pressure, inspect the treads. If the tyres are worn or appear to be rotted, replace them. 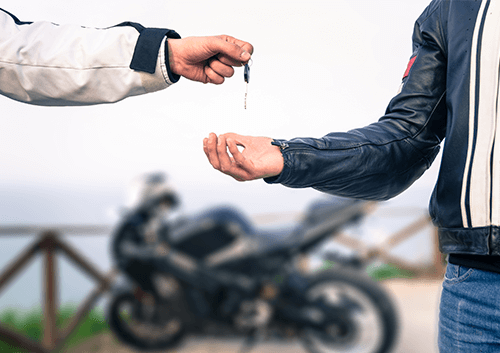 As you prepare for a busy season of riding, you’ll want to be sure your engine fluids are topped off. If it has been a while, you may want to change your oil and filter. Old engine oil can damage your motorbike. Remember to check coolant, if your motorbike is liquid-cooled. 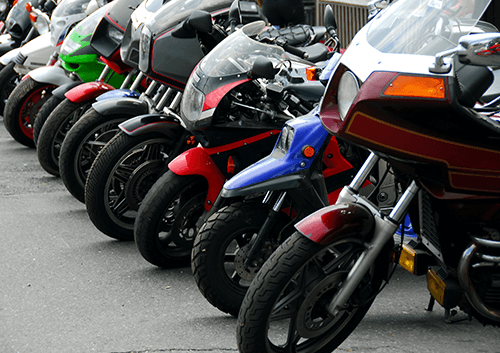 A weak or dead battery is common after a motorbike has sat in the garage for months. Test your battery to make sure it is fully charged. You may need to charge it. If your battery won’t hold a charge, you will need replace it. Your brakes are one of the most important parts to maintain on your motorbike. Check both the front and rear brakes to make sure they are functioning properly. Top off your brake fluids if necessary and replace any calipers that are worn and in need of replacement. Give your entire motorbike a once over. Check to make sure your lights are working and that your drive train is not worn or in need of adjustment. Make sure the chain is lubricated and in good condition. Make sure all of the fasteners are tightened throughout the entire motorbike. Finally, inspect the throttle, brake and clutch cables to make sure they are in good working order. 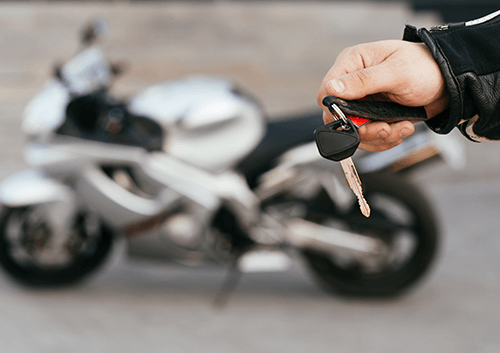 Of course, if you're planning more of a change this year, and thinking about trading up to a new bike, ensuring that yours is in great condition can really help with the value when it comes to sell. For a great price for your used bike, Get a Quote and Sell Your Bike today!